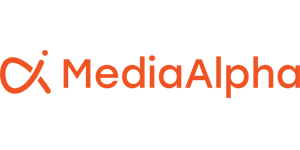 REDMOND, Wash. (Aug. 19, 2015) — MediaAlpha, a leader in programmatic advertising technology for performance media, today announced it has been named by Inc. Magazine to the Inc. 5000 as the 17th fastest-growing software company and the 152nd fastest-growing private company in America. The company was also ranked as the #1 fastest growing company in the Seattle metro area.MediaAlpha Inc. 5000 Profile. The 2015 Inc. 5000 was unveiled online at Inc.com, and the top 500 companies are featured in the September issue of Inc. This year’s group is the most competitive crop in the list’s history. The average company on the list achieved an impressive three-year growth rate of 490%. The aggregate revenue of all companies ranked in the Inc. 5000 totals $205 billion, and those companies have generated 647,000 jobs over the past three years. Complete results of the Inc. 5000, including company profiles and an interactive database can be found atwww.inc.com/inc5000.